It is often said that language and culture are intimately intertwined. In this sense, there are many crucial and unique ways in which Russian and English are fundamentally different. Learning even a few basic Russian phrases in preparation for traveling in Russia for the World Cup is a fabulous way to show respect to the host country, develop a better appreciation for your surroundings, facilitate ease of communication during your travels, and impress the socks off any Russians friends you make. 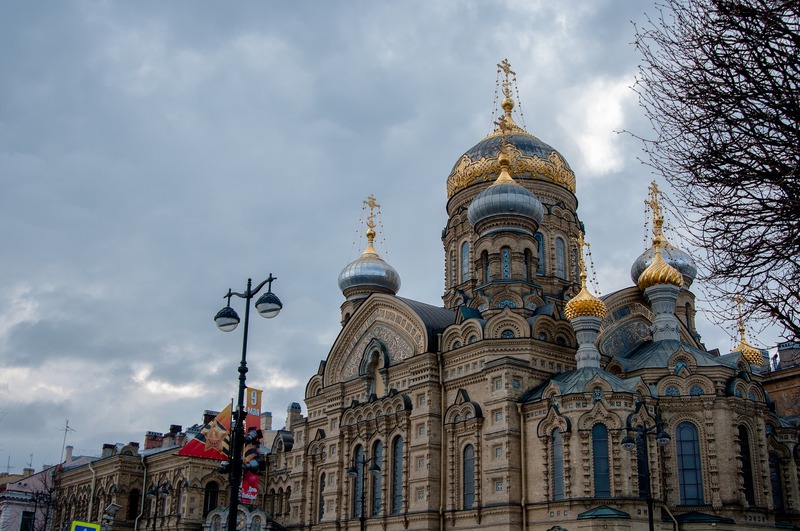 Though much of Russia technically belongs to the European continent, traveling in Russia is not an altogether European experience. A lot can be said of the Russian pace of life, architecture, history, and social customs and their differences from the western world. 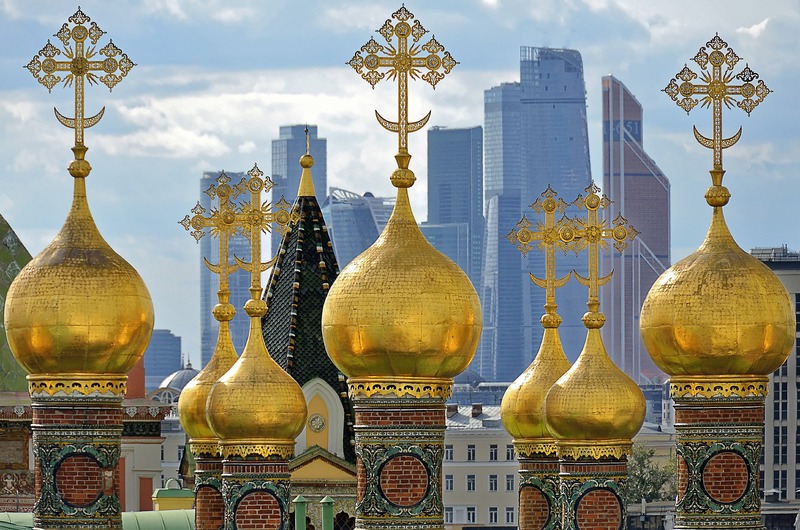 But if there is one thing that makes Russia feel so much more different from the U.S. than the likes of Spain, Italy, or Germany, it is the Russian language. Is Russian hard to learn? Russian is not a particularly forgiving foreign language for native English speakers. The language contains relatively few echoes of the Latin and Greek roots that sound familiar to Anglophone ears. Russian uses the Cyrillic alphabet instead of the Latin one, a barrier to entry that makes it considerably more difficult for English-speakers to GoogleTranslate their way across the country. And furthermore, Russian has a very flexible word order; even if you know which words to listen for, you cannot count on them arriving in any reliable pattern. And then there is the grammar – three genders, six grammatical cases, and two verbal aspects – yikes. Though English is the most commonly studied foreign language in Russia, you should not expect the same amount of English competency in Russia as you can in western European countries. Your typical Russian cab driver, waiter, train station employee, or cashier will not be fluent enough to effectively render services in English. Of 80 countries evaluated for their English competency, Russia ranked #38, among the lowest in Europe. In the hospitality sector however, you can expect a higher degree of English fluency. Anglophones can often fall back on the fact that English works as a lingua franca in many foreign countries, but this is less true in eastern Europe: here Russian is the regional lingua franca. Since Russian was the dominant language of the Soviet Union, Russian is often the common language used for communication between former Soviet countries. 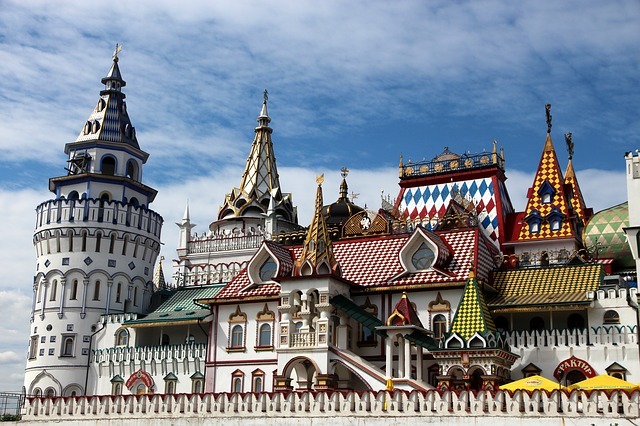 There are over 100 minority languages spoken in Russia, and 35 of them are officially recognized. Not really, if at all. The black belt in Judo speaks fluent German and passable French but has never shown himself as being able to speak freely in English. It’d be fool hardy to try to teach yourself Russian in preparation for traveling to the country for the World Cup, but learning a few basic Russian phrases can go a long way! Russian may not be easy, but there are plenty of useful and fun Russian phrases that can be quickly memorized. If you are up for it, taking a quick crash course in the Cyrillic alphabet is a great idea. All the foreign letters may look scary at first, but you can actually learn to read in Russian in an afternoon. Being able to sound out street signs and menu items can really come in handy during your travels! 1. Можно (MO‧jna) = May I? Would it be possible? If you only learn one word during your time in Russia, let it be this one. 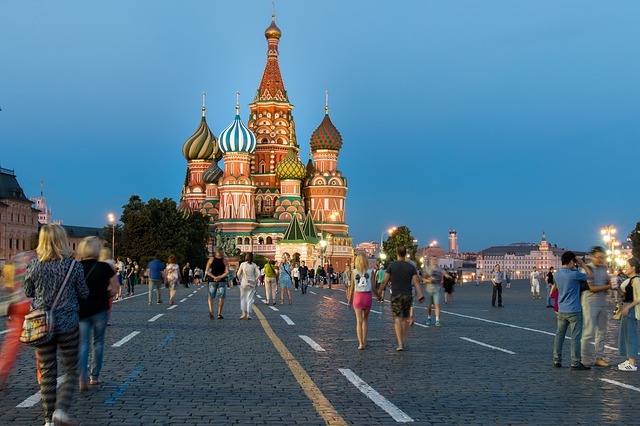 Можно is likely the single most versatile word in the Russian language for travelers. With a question mark and inflection at the end, you can basically ask for anything with this word alone. Have your eye on a pastry in the display window? Point at it and ask “Можно?” Need to catch a cab back to your hotel? Say the name of the hotel combined with “Можно?” Not sure if a seat in the stadium is free or taken? Ask “Можно?” before taking a seat. So much can be conveyed with this simple word and an inquisitive gesture. An affirmative answer will generally consist of да (da = yes), конечно (ka‧NESH‧na = of course), or they may repeat можно right back to you to give you the green light. If you are being told no, listen for N-sounds: нет (nyet = no) or нельзя (nelz‧YA = not possible, not allowed). 2. Где находится…? (Gdye na‧KHO‧dit‧sya) = Where is … located? 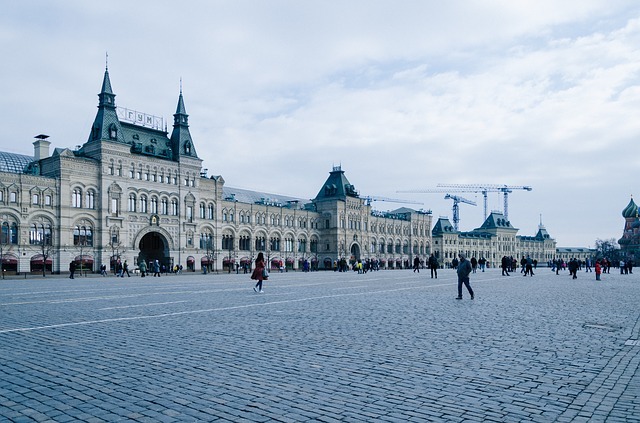 Whether you are looking for the toilet (туалет = tua‧LYET), the stadium (стадион = stad‧i‧ON), or the Red Square (Красная площадь = KRAS‧na‧ya PLO‧schatt), this is the construction you can use to ask for the location of any physical place. 3. За здоровье (Za zda‧ROV‧ye) = Cheers! To health! Many non-Russian speakers falsely believe that cheers in Russian is на здоровье (na zda‧ROV‧ye). While it has a similar literal meaning, the phrase is used in completely different contexts and is never meant as a toast before taking a drink. One might say на здоровье to encourage someone to do as they wish, sort of like “dig in!”, “be my guest!”, or “go ahead!” But за здоровье actually dedicates a drink to health, and Russians wouldn’t ever say it the other way around. Since на здоровье is so widespread thanks to poorly-researched Hollywood films, you will definitely impress Russians by getting the toast right. Declaring за здоровье after opening a bottle of vodka is a great way to show you’ve put in a bit of effort. 4. 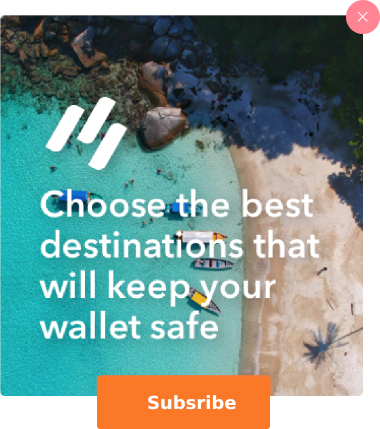 Молодец (Maw‧law‧DETS) = Good job! Way to Go! Heading to Russia for the World Cup means plenty of chances to cheer on your favorite teams and players. Молодец is a common thing to say after a player has done something great, like blocking a goal or making a stellar pass. It’s also an appropriate way to express approval after anyone has done anything commendable, like quitting smoking. Молодец is an important word in Russian, but it doesn’t really have a straightforward equivalent in English. 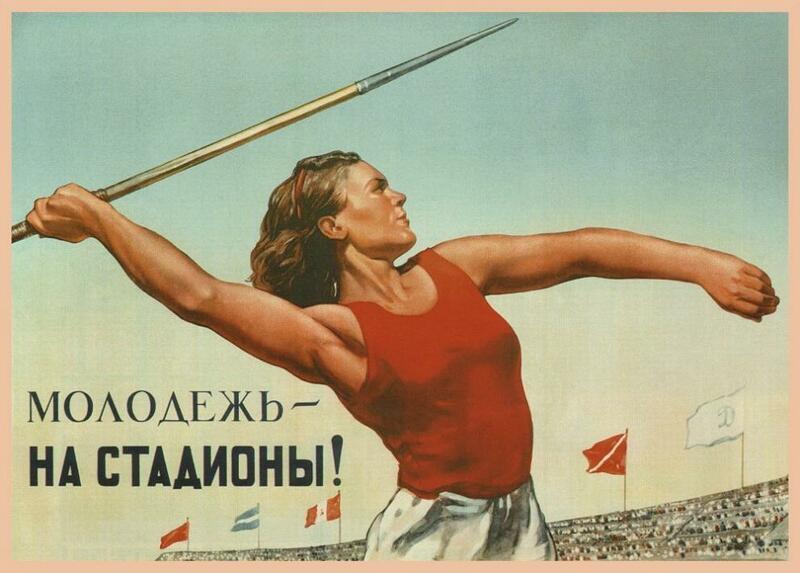 While we might tell someone “Good job!” the Russian way is to give the person a title of greatness. Молодец is actually a word for a person who did something great. It’s sort of like saying, “You rockstar, you!” If you want to express that multiple people have done something great, then make it plural: молодцы (maw‧lod‧TSEY). Alternatively, if your team isn’t doing so hot, you should learn how Russians express disappointment and distress. Кошмар literally means nightmare, and ужас means horror or disaster, and they are two of the most common filler words in the Russian language. And given that Russians take sports very seriously, you are quite likely to hear these two words thrown around should a soccer match go awry. A terrible pass, a blatant foul, or an embarrassing defeat are all wonderful occasions to shake your head and emphatically declare that the situation is a disgrace. 6. Блин (Blin) = Darn! Shoot! This useful Russian phrase also happens to be one of the traditional Russian dishes that you absolutely need to try while you are traveling in Russia. Блины (blini) are yummy, thin Russian pancakes. And pancake is also a favorite PG-13 curse word in Russian. Drop something? Pancake! Opposing team blocked a goal? Pancake! Miss your train? Pancake! Блин is a very common, inoffensive, and delightful way to vent minor frustrations. Ready to put these newly learned Russian phrases to use? Join Bucket List Events at the 2018 FIFA World Cup in Russia. Cheer on your favorite teams and experience the world’s most vast and mysterious country during this once-in-a-lifetime opportunity.